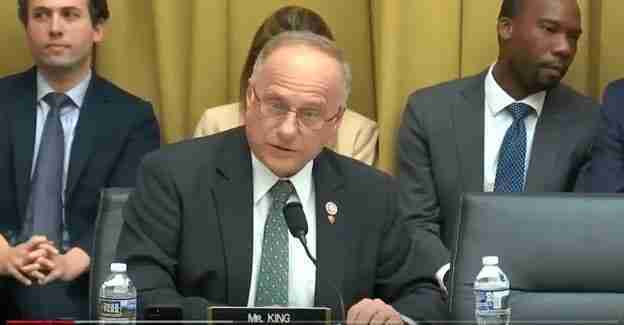 .- Congressman Steve King, a member of the House Agriculture Committee, announces that his “Protect Interstate Commerce Act” amendment included in the House-passed version of the Farm Bill has been endorsed by the nation’s egg farmers. In a statement released today by the National Association of Egg Farmers, the organization is calling upon House and Senate Farm Bill conferees to agree to preserve King’s amendment in the final version of the Farm Bill. “In effect that clause says Congress is to regulate commerce among the states, but certain states are implementing laws regulating how eggs are produced outside the state and then imported into that state. Specifically, they are pressing for removing cages for egg-laying hens. They claim they are doing it for the welfare of the chicken and the quality of the egg. They need to ask the farmers. Farmers today moved to cages for welfare considerations and for egg quality improvements. “There are more external parasites in cage-free farms, specifically red mites. 83% of European cage-free egg farms are already infested with poultry red mites. All 27 member nations in the EU are about 40% cage-free compared to 16% in the U.S. Subjecting poultry to parasites is inhumane. “Farmers know how to produce safe, quality eggs while caring for their chickens. Don’t take that knowledge away by removing consumers’ choices and forcing only cage-free eggs. Grassley Says Russia is No Friend to the U. S.